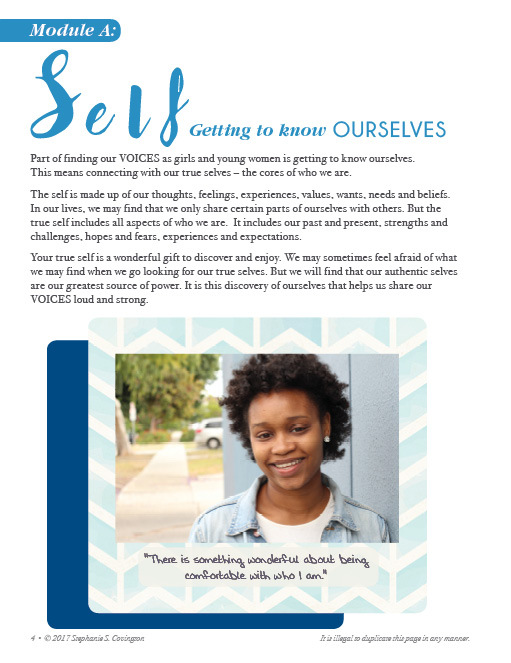 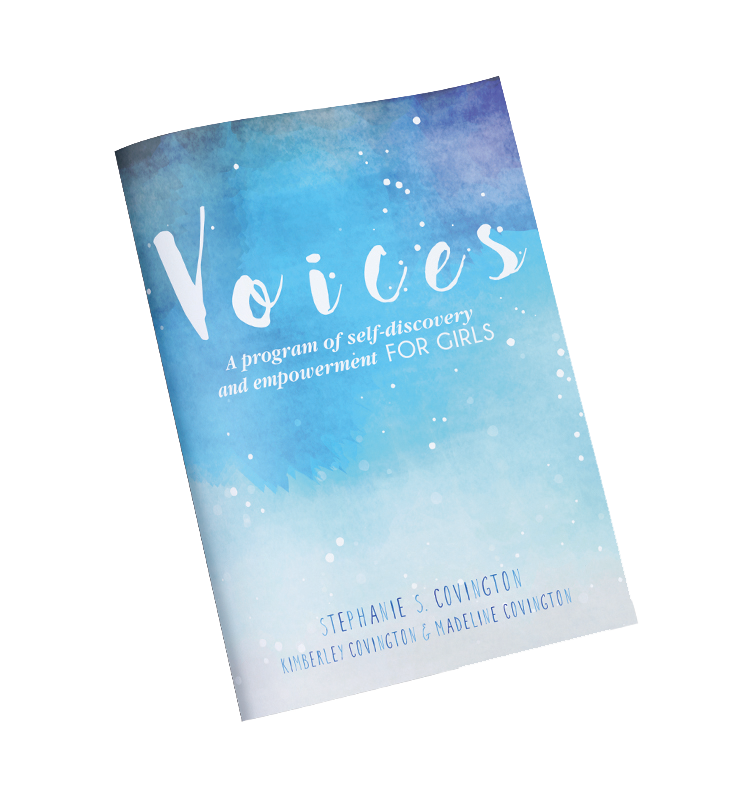 VOICES is designed to assist adolescent girls in exploring themes of self, connection with others, healthy living and their journeys ahead. 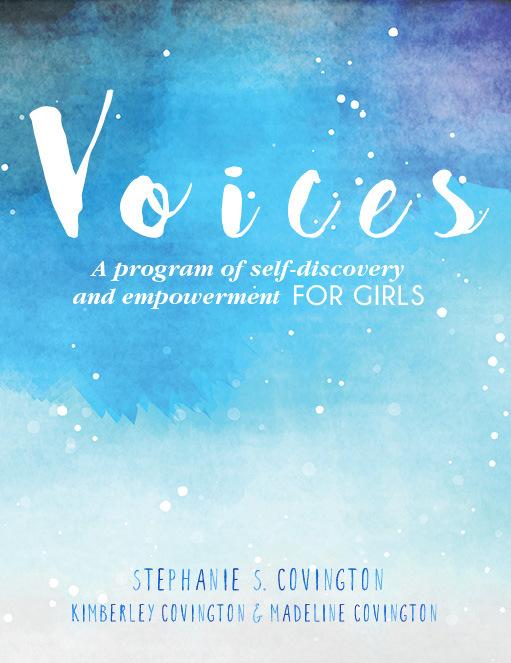 Created by Stephanie S. Covington, Ph.D., a leading expert in women and girls’ programming, along with Kimberley Covington and Madeline Covington, this program helps young girls strengthen their sense of self and build skills for healthy development. 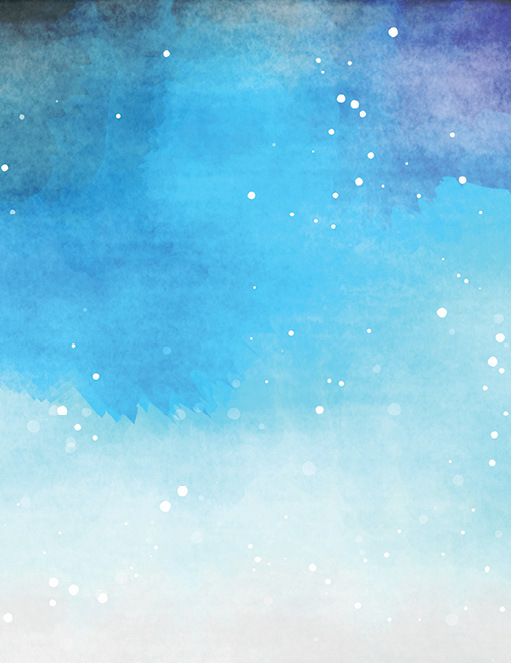 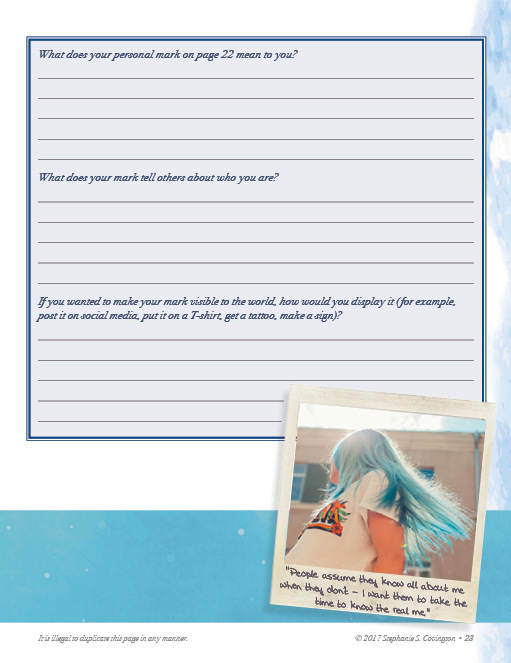 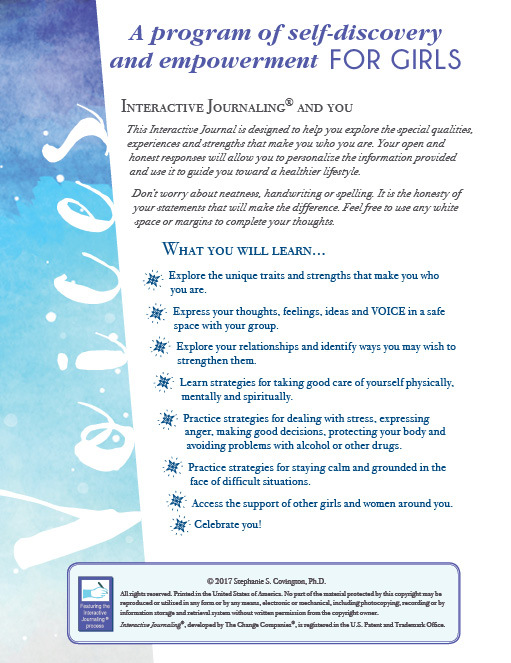 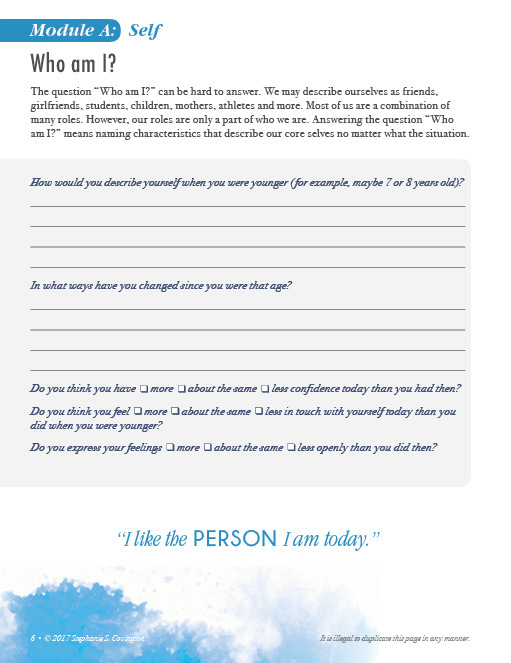 This 88-page Journal is an interactive tool for girls to use in group or on their own. 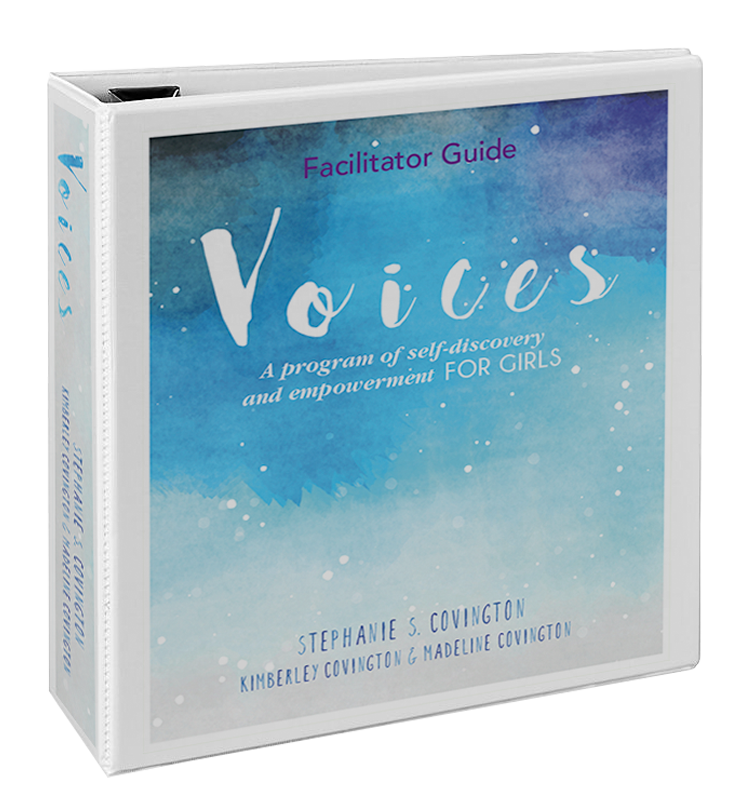 A comprehensive, supporting Facilitator Guide is available to provide background information about working with girls and detailed instruction for program facilitation.